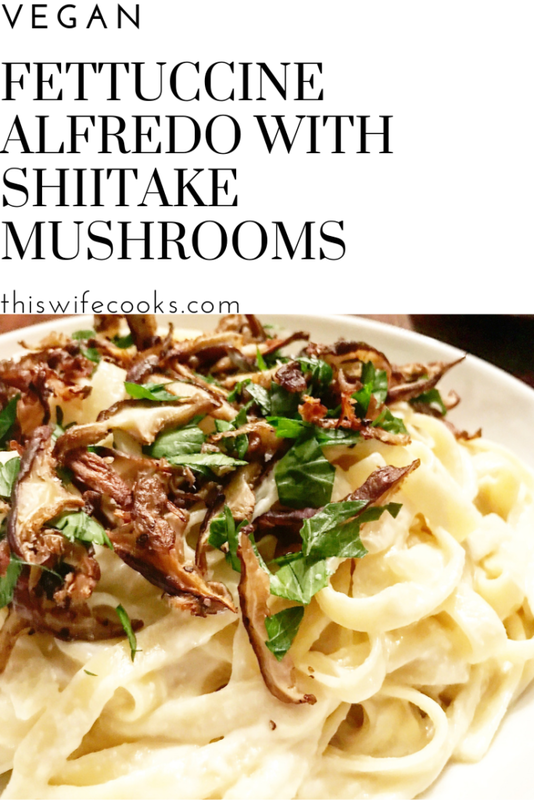 If you love rich, creamy, mushroomy, garlicky, Alfredo-y deliciousness, then this is the dish for you! My husband is a huge fan of the classic Fettuccine Alfredo so I made this as his birthday dinner recently and we were practically licking the bowls clean! With all the flavor of a traditional Alfredo pasta, this dairy-free version is sure to impress even the toughest critics! Perfect for a cozy night at home! To a medium size mixing bowl add mushrooms, olive oil, sea salt, and ground black pepper. Toss to coat. Onto a baking sheet, spread mushrooms in an even layer. Bake 20 minutes, until lightly crisp. To a medium skillet over medium high heat, add olive oil. When oil is hot, add onions; cook 3-5 minutes, until softened. Add garlic and cook an additional 1-2 minutes. To a high speed blender, add onions and garlic, silken tofu, water, lemon juice, sea salt, and ground black pepper. Blend on high 2 minutes, until consistency is smooth. Prepare fettuccine according to package directions. Drain well and toss with sauce mixture. 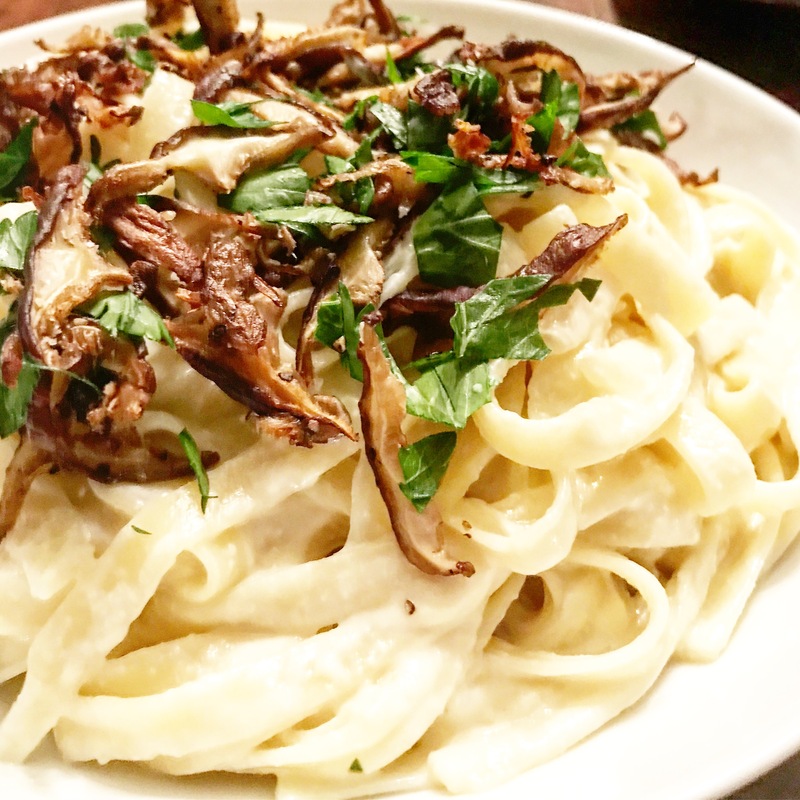 To serve, top fettuccine with baked shiitake mushrooms and a sprinkling of Italian parsley. Serve warm.